3D Air Flow - IAPL GROUP PVT. LTD. 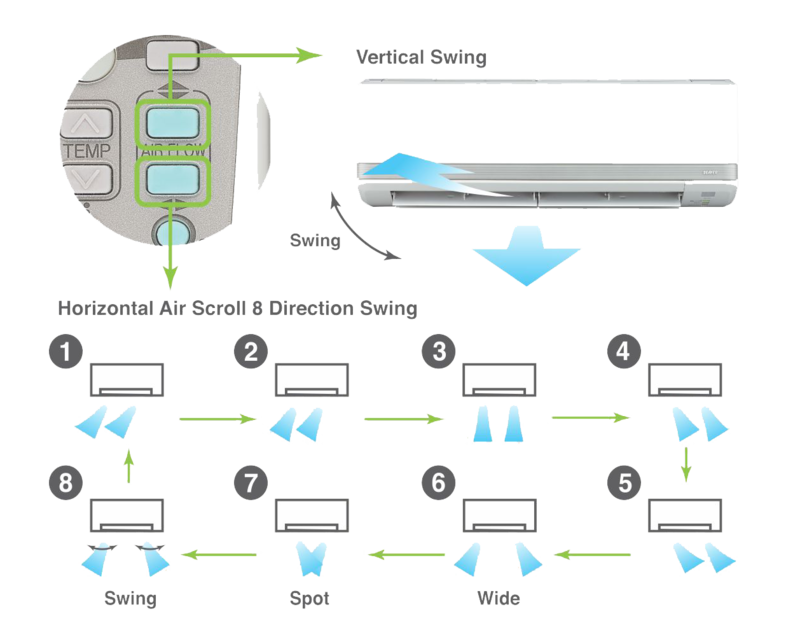 Thanks to automatic control of air flow volume and air flow direction, comfortable air conditioning of the entire room can be done effectively. In cooling operation cooled air flows directly to the ceiling. The cooled air does not flow directly to the occupants of the room and the comfort cooled air flow comes from the ceiling like a soft shower. 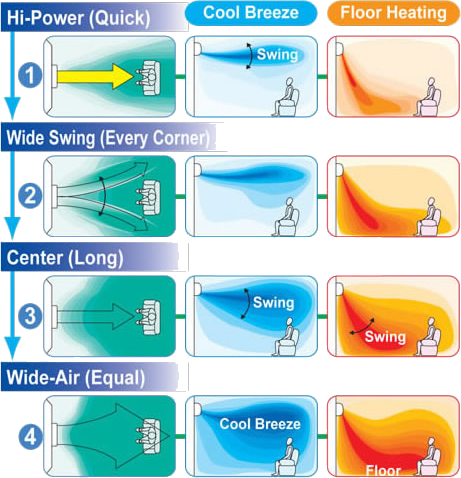 In heating operation warm air flows to the floor directly and spreads along the floor. Due to concentration of the warm air on the floor level, optimum comfort can be achieved. By individual control of right and left part of louver, air flow direction from the right part and the left part are controlled individually. Setting the most preferable air flow direction and determining whether direct air flow is required or not at the same time minimizing of energy loss and economical operation has realized. 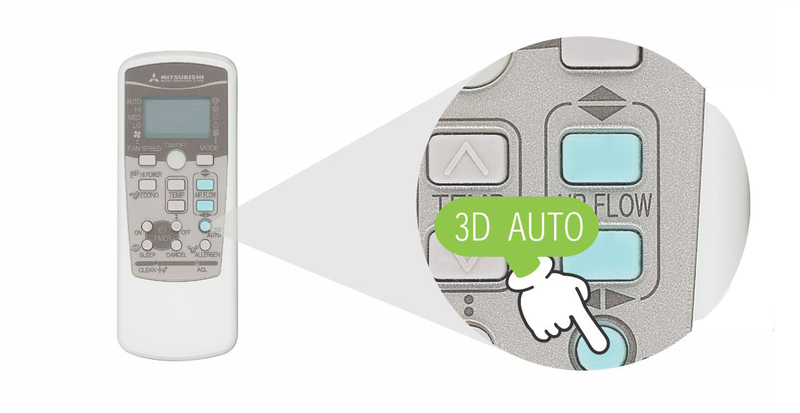 is one touch programmed and three motors (one vertical working motor + two horizontal working motors) make three independent air flow controls. The air flow is uniform and quiet and reaches at long distance points from the blower.